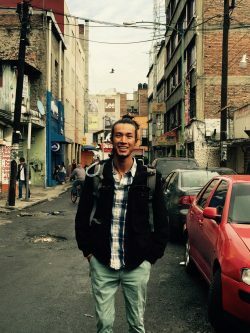 Hailing from the diverse city of Atlanta, Georgia, and the agricultural mecca of the Rio Grande Valley in Texas, 6 food activists will travel to Cuba this spring to bring the lessons of the organic revolution back home. With the help of a very generous donor and Altruvistas, we raised over $25,000 to build food sovereignty in our local communities by providing these students and farmers with full scholarships. These scholarships are pivotal to our work in the food justice movement and only with your continued support can we connect activists, farmers, and students to the global movement of food sovereignty. With the help of a very generous donor and Altruvistas, we raised over $25,000 to build food sovereignty in our local communities by providing these students and farmers with full scholarships. These scholarships are pivotal to our work in the food justice movement and only with your continued support can we connect activists, farmers, and students to the global movement of food sovereignty. 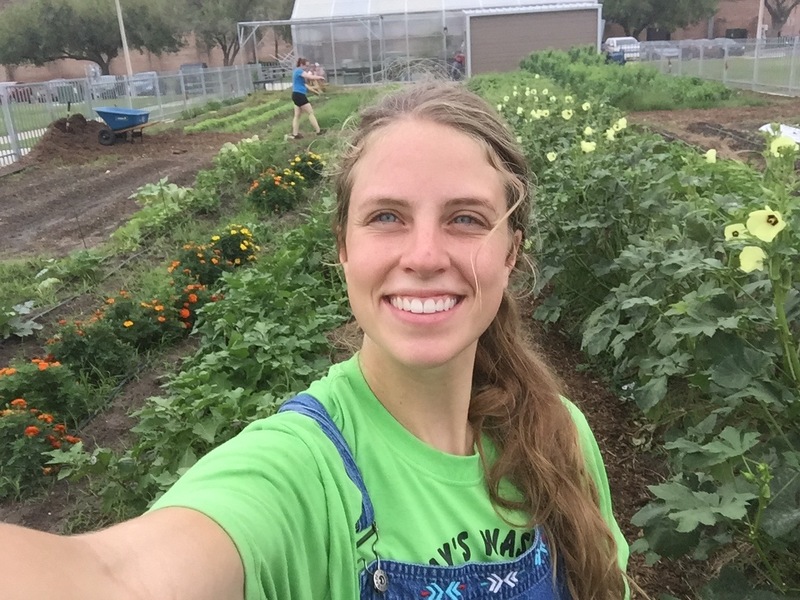 I currently work as a farm coordinator at a charter school that serves under-privileged communities, and my duties include planning crop production, managing on-site farmers, teaching middle school age students organic farming practices, and collaborating with other teachers in classroom projects. The bulk of our produce is harvested and delivered to the school cafeteria and at times, local farmer’s markets. Learning organic practices from experienced growers in Cuba will not only teach me valuable skills to implement on our farms, but help me promote and develop programs for healthy eating in my school and in my region. I live in an area declared among the most obese and impoverished in the nation; a food desert with limited access to organic fruits and vegetables, resources confined mostly to those with higher socio-economic status. This tour will help me transmit the use of organic & sustainable growing methods throughout the Texas-Mexico border region, working alongside other growers to better the lives of our mostly immigrant population. I believe this tour of Cuba’s agricultural & food systems will be inspirational, educational, enlightening even and will serve as a catalyst to connect with other like-minded individuals in an effort to bring healthy food back to the table of many deserving individuals. I am senior majoring in Biology at The University of Texas-Rio Grande Valley with a strong interest in sustainable food systems. This educational travel program will allow me to further my mission to grow healthy produce in South Texas. I am excited to contribute the various planting methods and techniques I have learned as an Agroecology intern and research garden manager. I know I can acquire growing strategies for my future organic farm while visiting Cuba. Like Cuba, I live in a sub-tropical region that is hot and humid with a high pest and disease pressure. My passion for sustainable farming began after a volunteer experience at Terra Preta Farm in Edinburg, Texas. After working along side the farmer I wanted to share my positive experience with my peers, so I began to organize volunteer groups. Our efforts were published in the Lower Rio Grande Valley agriculture magazine – Ag Mag. Experiences on the farm lead me to become involved with the Sustainable Organic Agriculture Research and Curricula Development, Experiential Learning, Networking, and Agroecology programs. As I mentioned, I manage a garden that is the first certified organic garden on a college campus in Texas and is host to several projects aimed at directly responding to the needs of local farmers. We also promote volunteer opportunities, donate organic produce to the campus food pantry, and engage K-12 students with educational tours. The Food Sovereignty Tour is an opportunity to grow among a culture rooted in agriculture that is self-sustaining, but faces struggles similar to what I will soon face when begin to farm in South Texas. As an agronomist I was taught the conventional way of farming: treat the problem with a chemical product. With that vision I worked in private industry for some years and saw great amounts of chemicals used in order to produce food. This made me think about the effects in our water, air, land and how it affects human health. When my first daughter arrived I decided I wanted to give her quality food that was free of chemicals and so I started reading and learning more about organic farming. 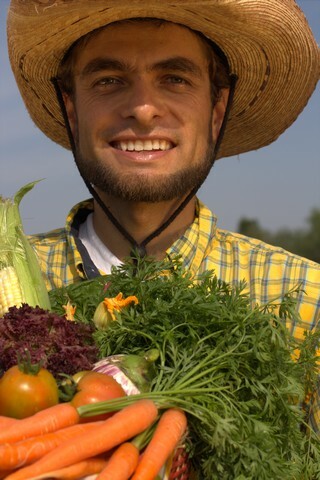 I saw the need of more quality food and decided to become a farmer. I quit my job in the private industry and entered graduate school to conduct research on organic citrus production. 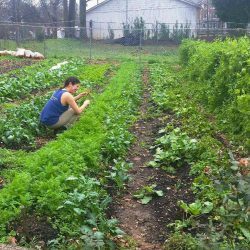 I studied organic agriculture, permaculture, and other topics related to sustainability, and also began collecting tools and gadgets that I knew I would use in my future farm. That dream became a reality and I have been since 2008 growing organic vegetables in the Rio Grande Valley in Texas. I truly believe that growing sustainably, avoiding the use of chemicals and nurturing the soil, brings a big positive impact on the environment and people’s health. I would love the opportunity to attend the Food First’s Food Sovereignty Tour to Cuba to learn and hopefully to share something as well. I consider this a great learning experience that would allow me to grow, and be a better advocate in developing more secure food systems in the region. Currently I am overseeing a Beginning Farmers and Ranchers Program at the University of Texas Rio Grande Valley and I would love to learn other sustainable growing techniques that could be taught to our Beginning Farmers in this area and improve the way we are using our local resources. As a mid-twenties, Mexican-American woman in Atlanta, I find myself surrounding amongst women of similar heritage and age group, who have language barriers that cause hardships. Mexican laborers fill the majority of the cracks to the system of food production entirely- from the seed to the plate. As minimum wage awareness is raised in current times, I give thanks and say lets raise it all: unfair labor practices, statehood food sourcing, immigrant’s rights, food desert reversification, empowerment for the sovereignty movement. I cook professionally for Empire State South and learn as an agroecology apprentice for a collective in the city, Grow Where You Are. Though I don’t make a lot of money cooking as a line cook in one of Atlanta’s most recognizable and respected restaurants, I maintain educated by the everyday of work of both establishments and I am never hungry as I am fed well there from locally-sourced food we cook and through the produce we harvest at Grow Where You Are sites. I am selling vegan tamales using social media and word-of-mouth marketing methods. My tamales are sourced from produce I helped grow at Grow Where You Are sites, as well as friends and associates at Mayflor Farms. As a naturally collaborative being that I am, I would love to help show case food made from our trip while on our trip! I would love to harvest while in Cuba, take pictures and notes to share with EVERYONE. I would love to go to Cuba with my teachers and talk amongst the group about our experiences. I would just love, love to see and come back even more educated! The amazing efforts of the Cubans to rebuild their food system are really inspiring for the work we are doing in Atlanta. Our work is being done with and for people who are currently experiencing a food crisis. 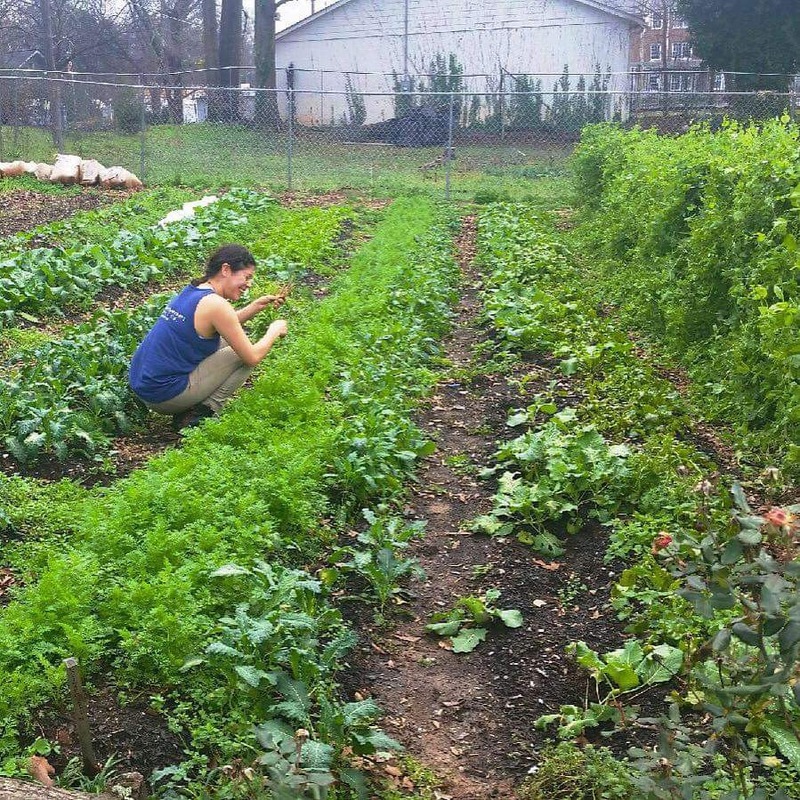 A handful of growers in Atlanta, including us do not own land yet or heavy machinery and yet have managed to tend to urban plots and feed ourselves and our community, the people who live in the neighborhoods where we grow. The people here in the US who are indigenous and who were forced and did the physical labor to build the country and feed the country have been forgotten and blocked off from resources much as the people of Cuba were when the world shut them off. Listening to their stories provides context to the entire picture of the Americas. The connection that forms from sharing stories will build solidarity. One of things I have found in working in the agriculture system in the south US is that unlike any other profession. There are many people deciding, forming and shaping the laws and the movement in general who are not growers, or land workers. In other fields such as Doctors, their associations are made up of doctors. In agriculture, there are people who read about agriculture but have not been doing it, setting policy. The indigenous and mostly any growers of color and allies tend to not be involved in the shaping of the public representation of the movement, which is devastating to building a true movement, which will uplift everyone. If these stories are not told then the next generation will not hear them or be encouraged by the images and stories that are publicized to get involved. That is why a chance to connect and listen to the people who are really doing the work in Cuba will be so great. A network between us and the agro­ecologic­culturalists in Cuba will be powerful. It would be great to learn if there is work we can do to serve their process and way. We are so close yet so far away. I am an assistant professor at the University of Texas Rio Grande Valley located in deep South Texas. This part of Texas, subtropical in its climes, maintains its status as an agricultural mecca. As of 2014, the region also boasts the highest concentration of certified organic farms in the state. Yet, despite these riches, this region is characterized with some of the highest rates of food related maladies in the country, ranking among the national leaders in rates of obesity, diabetes, food insecurity, and hunger. Population growth is among the highest in the country, which coupled with increasing poverty rates and a high concentration of food deserts, a growing segment of the region’s population do not or likely will not have either physical or economic access to healthy food. In effect, the RGV can probably be considered the most disconnected food system in the country. How do we reconnect these components? This is the charge of our lab: in relatively short amount of time, we have established a nationally recognized research and student training program at UTRGV in agroecology and the study of urban ecosystems, with the ultimate goals of: (1) using science based approaches to elucidate patterns how landowner or stakeholder decision-making connect to improved environmental and social outcomes, (2) and increasing ecological literacy in local area students though transformative education and engaged scholarship. In this light, I think that participating in this program will not allow me to contribute our experiences and research that have shaped our preliminary understanding of farming and food systems, but more importantly help me improve our program by learning from different stakeholders in the food system of Cuba (including the growers), who operate within subtropical and tropical conditions and climate not much different than that of south Texas.